Four 4- to 5-star hotels, 45 meeting and banqueting rooms, more than 30 restaurants and bars, 3 spas, 4 casinos and more. 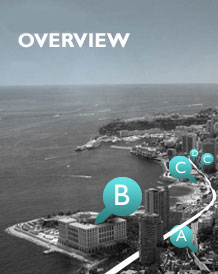 Explore the Monte-Carlo SBM Resort as if you were actually there. Don’t miss the lunch menu at the Vistamar – a pure delight! 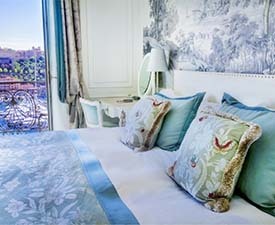 This room is a listed monument, an absolute must for your exclusive banquets in the purest spirit of the Belle Epoque. A magical venue, iconic artists, and eclectic line-up: the Salle des Etoiles provides a dreamlike setting for exclusive evenings. An immense Art Deco room and vast terrace alongside the Olympic-sized swimming pool with the sea on the horizon.